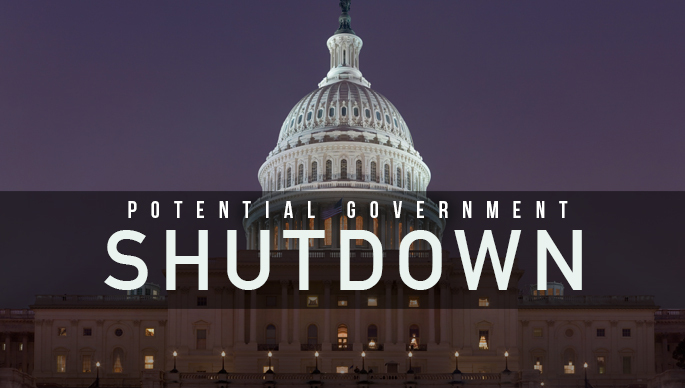 Another giovernemnt shutdown is looming if the Democrat and Republican parties can't come to an agreement on border wall funding. After Longest US Shutdown Ever, More to Come? After 35 days of a partial shutdown, the government temporarily reopened on January 25, 2019. This was by far the longest shutdown in U.S. history, and another is looming if Congress and President Donald Trump do not pass the federal budget for 2019, which includes the now infamous $5.7 billion border wall spending bill, by February 15. The President claims that if Democrat and Republican members of Congress do not reach an agreement by mid February, he will shut the government down again. However, even the GOP are wary to allow another shutdown to occur. The short-term spending bill, which has temporarily reopened the government, has sparked some controversy. President Trump’s decision to temporarily reopen the government has divided conservatives. Many think that the president caved in to the Democrats regarding the wall, while many stand by Trump, claiming it to be a strategic move. The highlight of the short-term bill is that it does not provide the $5.7 billion demanded by President Trump for his border wall. However, it opens parts of the government which was closed, and allows for workers to now be paid up to February 15. The president stated that the bill was passed in hope for Congress to negotiate in a good manner over the next 21 days and pass a federal budget that includes money for the wall. Democrats, however, are mostly united in their claims that they defeated Trump, showing weakness in the president. Regardless of which party gets (or has) the upper hand, it is the federal workers who are suffering. About 800,000 government employees varying from smaller agencies to the cabinet departments had been either furloughed or working without pay, and although President Trump has signed a short term bill which provided paychecks and back pay for those employees, the damage was already done. Many government employees were forced to turn to Go Fund Me and other crowdfunding sites to pay their bills. Some took out loans, which they have to pay back with interest, while some had no other choice than to file for bankruptcy. Many agencies and companies tried to help those with need. The Coast Guard, for example, published a tip sheet on how furloughed employees can make money, and restaurants around the nation offered free meals to those struggling during the shut down. It’s not only individuals suffering. National parks, the IRS, and more agencies have been affected as well. The IRS, for example, had been understaffed and not taken care of/maintained, which is detrimental right before tax season. Prior to the government reopening on January 25, they called back 35,000 furloughed employees for filing season to work without pay. Employees who worked without pay during the shutdown are guaranteed the paychecks they deserve, according the Office of Personnel Management Guidance, the agency that manages the government’s workforce. However, with the recent reopening of the government, employees pay depends on the individual payroll cycles. According to JPMorgan, the economy had been losing $1.5 billion dollars a week during the government shutdown. On top if this, the extended government shutdown might affect the the country’s credit rating and the ability for some agencies to give federal loans. The real extent of damage the long shutdown might have had on the economy is still yet to be seen. President Trump wants his wall, and Democrats are not likely to cave into the Republicans on this issue. This gridlocked stalemate does not seem to have an end in sight, and that might mean another shut down is.